Have Western Publishers Been Too Slow to React to Political Change in the Middle East? In the past publishers cashed in on dramatic events in or originating in the Middle East. So what’s different this time? Arabic literature is present on the main territories, but its presence is faint. Given the importance of the Arabic language in the world (320 million estimated speakers), the fact that this literature is still considered as marginal is unsettling. International publishers may be curious about this literature, but they rarely go as far as acquiring rights. But, as more and more eyes turn to the Middle East and its volatile and evolving political situation, will readers turn to books to put events in context? In the past, booksellers and publishers literally cashed in on the race to supply readers with material following noteworthy events. During Iraq’s invasion of Kuwait in 1990 and the US intervention there, I was a bookseller at a short-lived Boston travel store and we couldn’t keep enough copies of Albert Hourani’s A History of the Arab Peoples or maps of the Middle East in stock. Post-September 11, 2001, publishers raced to sign up books about Islamic and Middle Eastern history (and terrorism and Osama bin Laden). The political regime changes sweeping the Middle East are no less important or dramatic — they are arguably more so — but will Western readers also clamor for analysis? Or will they rely on the Fox/CNN/Al Jazeera nexis — each with its own flaws — to supply commentary. So far, there has been little fanfare coming from the publishing community. 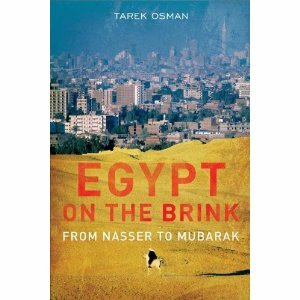 A search on Web site Publishers Marketplace, which tracks many book deals, reveals just two transactions involving the word “Egypt” — both of them foreign rights translation deals for Yale University Press’ Egypt on the Brink by Tarek Osman.